In an attempt to narrow down what was driving the sudden decline in teenage mental health, researchers from San Diego State University and Florida State University ruled out all the obvious culprits: The years between 2010 and 2015 were a period of steady economic growth and falling unemployment. The time spent on homework stayed the same, ruling out academic pressure as a cause. And the rate of increase in depression and suicide was consistent across all socioeconomic backgrounds, all races and ethnicities, and in every region of the country. 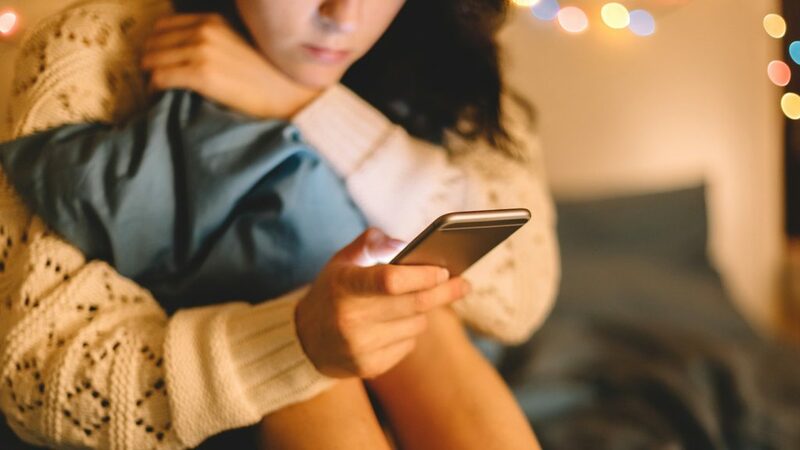 After scouring the statistics for clues, researchers found the percentage of American teens owning smart phones rose basically in tandem with depression and suicide rates. It’s estimated around 35 percent of teens owned smartphones in 2010. That figure hit 73 percent by 2015, and is now at 77 percent. The researchers published their findings in Clinical Psychological Science Nov. 14. “All told, our analysis found that the generation of teens I call ‘iGen‘ – those born after 1995 – is much more likely to experience mental health issues than their millennial predecessors,” wrote the paper’s lead author SDSU Professor of Psychology Jean Twenge in an article for The Conversation. It’s not only the ownership of smartphones that factored into mental health decline, but the number of hours spent staring at them. “We found that teens who spent five or more hours a day online were 71 percent more likely than those who spent less than an hour a day to have at least one suicide risk factor (depression, thinking about suicide, making a suicide plan or attempting suicide),” Twenge wrote. Overall, those who spent two or more hours a day online, were at significantly increased risk. 1. Inadequate sleep. Teens who spend more time on their phones are more likely to not be getting enough sleep. Not sleeping enough is a major risk factor for depression. 2. Less in-person social interaction. “Interacting with people face to face is one of the deepest wellsprings of human happiness; without it, our moods start to suffer and depression often follows,” Twenge wrote. Feeling socially isolated is also one of the major risk factors for suicide, Twenge noted. Twenge points out that the jury is still out on whether or not on “screen time” is inherently harmful, but says it’s a serious enough issue that parents might want to play it safe.